My five-year-old sleeps in a ‘nest’. It’s a self-made nest but my attempts to straighten out her bed covers are always rejected and instead, she creates a cosy spot with her quilt, pillows and the help of a dozen soft toys. 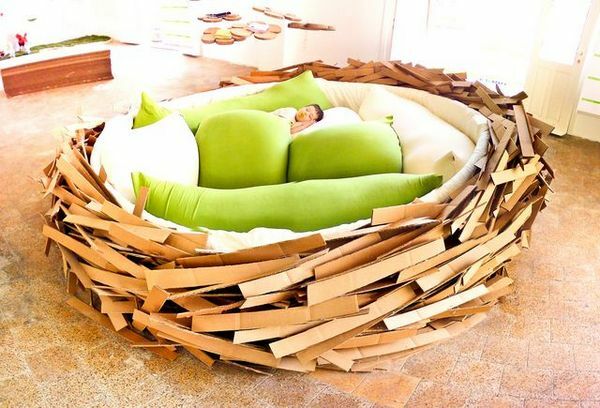 I could also be tempted by sleeping in a nest if it was as lovely as this one created by O*GE CreativeGroup. 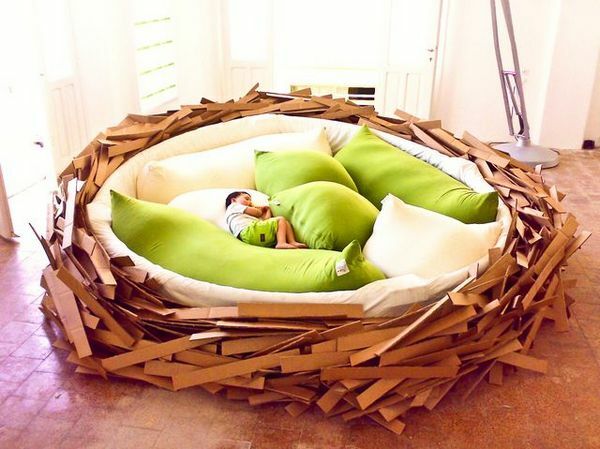 The Birdsnest was designed as a space to play or for enjoying some quiet reading time but can be used for a co-sleeping family. 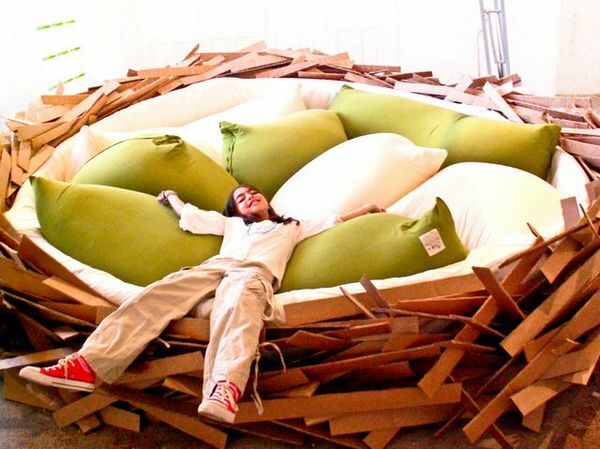 The Birdsnest has been made in different sizes and the largest can accommodate up to sixteen people (at four and a half metres wide, that’s a very big nest). 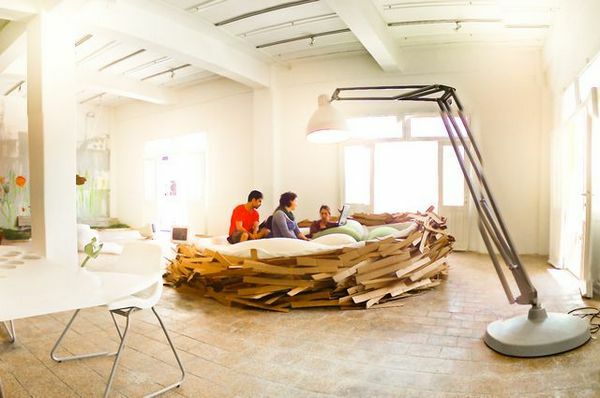 Now before you start clearing the living room to make space for your nest, know that the design is still in the development stage. We’ll let you know if this idea takes flight.